Mahesh Babu’s Six Pack cost Rs 1 crore – 4 months’ Deal! Although she is shuttling between Bollywood and regional movies, Asin seems to be landing plump roles in Tamil as well. After her last year hit Kavalan, if rumors are to be believed, Asin might be in the Shankar directed Thalaivan Irukkiran. Speculations are abuzz in the internet that she will play Kamal's lead in Thalaivan Irukkiran. It's also reported that Telugu actor Prabhas, Malayalam superstar Mohanlal and Hollywood star Jackie Chan will also be part of the movie. Produced by Aascar Ravichandran, the movie is in its pre-production stage. 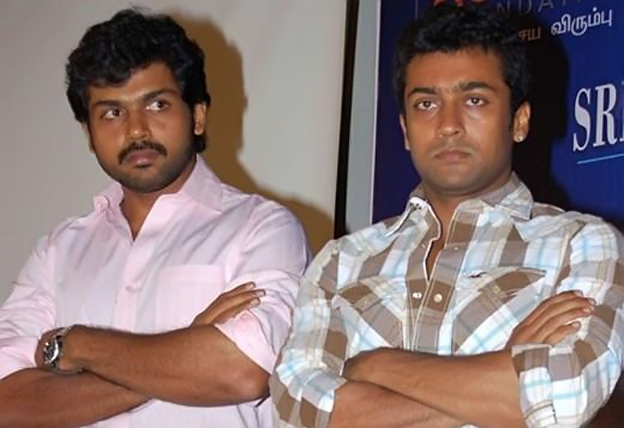 Karthi, one of the leading young heroes in Tamil is using Rajini's famous character Alex Pandian as the title for his next movie. Directed by Suraj, Anushka will be the female lead in the movie. Danush - Sruthi starrer 3 is all set to hit the screens all over the world in the last week of March or the first week of April. 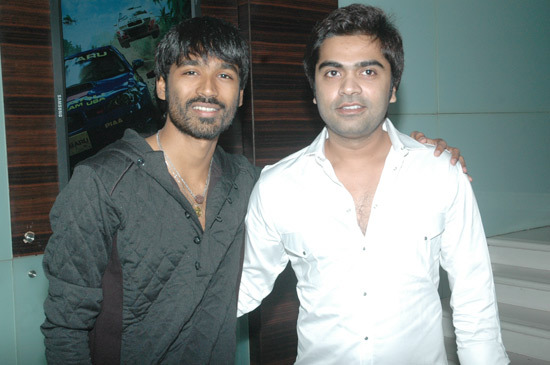 We all know that there is a subtle rivalry going on between Dhanush and STR for a longtime. Though reports of their friendship surface now and then, they never missed any opportunity to take a dig at each other. Recently when Dhanush's Anthem for Tendulkar was removed from YouTube, STR posted a tweet that took a hit at Dhanush. In reply Dhanush tweeted his own words retaliating STR's comment. This porvoked STR, who is in USA, to reply with another tweet to resolve the issue. The Sachin Anthem is back on YouTube. Watch out this space in coming days to know more about the war of words between them now. Mammootty's son Dulquer Salman made his debut today with the Malayalam film Second Show. The film has been directed by Srinath Rajendran. There were huge expectations on this film as it marks the debut of the son of the mega star in Mollywood. Dulquer is set to follow the footsteps that his dad has marked out for him and that is evident from his acting in Second Show. Kollywood directors have run into a wall after the unofficial strike in the industry started. The TFPC-FEFSI dead lock over wage revision has brought the industry to a grinding halt. 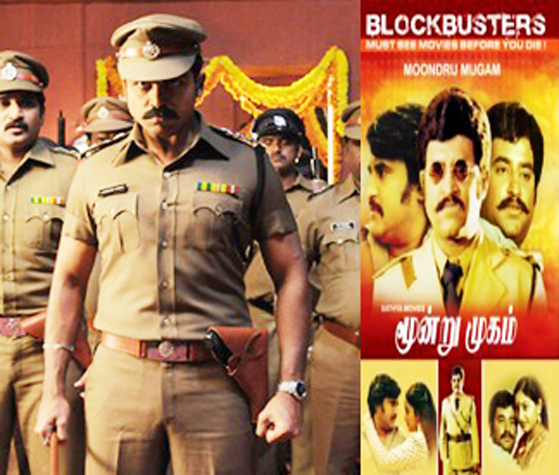 Initially, some directors went outside of Tamil Nadu to shoot their films. AR Murgadoss shot for Thupakki in Mumbai, while Selvaraghavan shot his Irandam Ulagam in Hyderabad. Gautham Menon also shot for Neethane En Ponvasantham in Hyderabad. Suddenly FEFSI appealed to their colleagues outside the state who stopped cooperating with these filmmakers and shooting ended abruptly. Most of the top directors did not want to get sucked into the politics of the unions, so quietly decided to go on a location hunting for their future projects. Shankar, who attended Harris Jayaraj's concert in Dubai, was actually in UAE looking for fresh locations for his new film. He visited all the emirates like Sharjah, Abu Dhabi and few other places for his Kamal- Mohanlal- Prabhas multi-starrer. Long before the strike, Shankar had gone to China for location hunting. Selvaraghavan is now in Brazil hunting for virgin locations along with his cameraman Ramji. Speaking from Brazil, Selva told Us : "We have found some awesome locations, where will be shooting with Arya and Anushka." AL Vijay for his Vikram actioner Thandavam has already completed a recce in US. Now he is going along with his hero Vikram who will do some make-up tests in Los Angeles. The shoot of the film is scheduled to happen sometime in March. AR Murgadoss has tweeted that he would like to do a small documentary film during the strike period. 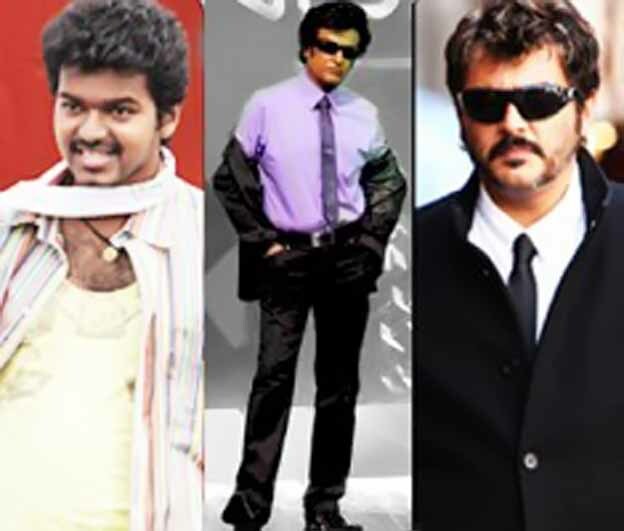 Vishnuvardhan is out of Chennai giving finishing touches to his Ajith-Arya-Nayanthara script for producer AM Ratnam. Mysskin is busy along with his music director K composing all the four songs for Mugamoodi. Meanwhile the top heroes are also on a forced holiday. 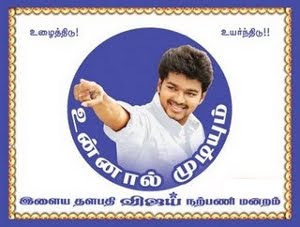 Vijay is going around Tamil Nadu promoting his Nanban aggressively in small towns. Ajith is spending most of his time on his favourite hobby of aero modelling. Suriya the complete professional is preparing for his game show on Vijay TV. Karthi is in serious discussion with director Rajesh on how to better the script for their next movie. Dhanush is practicing for live converts,marketing of 3 and has managed tie-up's with big brands. Simbu is in LA, trying to work out his anthem. Now everything hinges on the strike ending, for the actors and directors to fulfil their dreams. If the strike drags on, more people will fly out of Chennai pursuing their hobbies and chasing their dreams. South Indian Ananya, whose engagement concluded recently, has earlier said that she might not continue her acting career post marriage. But now, she says she will continue acting even after marriage as her fiance believes, marriage cannot be a reason to prevent success in her career. The cute actress has more movies lined up now including Nadodi Mannan, Achan Balan Makan Bheeman, Ameya, Masters, Mullamottum Mundhorichaaraum, The reporter, etc. Sources close to the star, the script inspired Mahesh Babu very much that he has agreed to come out of his comfort zone. A particular scene in the Sugumar film requires the protogonist to sport a six-pack body. Mahesh plays the role of a lecturer in the movie, while Tamanna plays his love interest. Though Mahesh tried to get the sick pack abs earlier with the help of local trainer, he called off his plans after noticing the changes on his face. But this time, he has hired a hollywood trainer Greg Joujon Roche for a whoofing Rs 1 crore. Greg Roche would be working with Mahesh for a period of four months to get the perfect look. Notably, the trainer has assured the Superstar that there will be no loss in the facial charm of the actor. That's the story of '1 crore – 4 months' deal! Ilayathalapathy Vijay revealed that it was not a cakewalk for him as far as acting career is concerned despite his dad SA Chandrasekar being a popular director and producer. Vijay said that his parents wanted him concentrate in his academics and become a doctor but his heart was in facing the camera. The star said that he realized that acting is his passion at a very young age and prepared himself against all odds. Vijay pointed out that he underwent a lot of struggles to become one of the leading stars in Kollywood with a huge fan following and all this did not come easily. There is a lot of struggle behind this success, said he. Studio green productions by Gnanavel Raja known for there movies such as Jil nu oru kadhal, Paruthiveeran, Paiya is again back in action with the title Alagu Raja .Sources close to the banner reveals that the tiltle has a mass appeal and has been registered by Studio green. 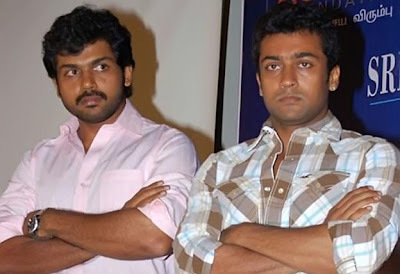 The production house has registered the title and the question is that the tiltle is registered for Surya's upcoming flick or it is Karthi 's upcoming flick. Both the films are under production and the guess is that it belongs to whom. So let us wait and see who grabs the tile Alagu Raja. Nayanthara's decision to make a comeback in films has become a great delight for her fans. Before couple of days, the news about actress signing Ajith Kumar's next film with Vishnuvardhan and Arya became headlines. Now the actress is here on headlines for another reason and this is about her kind gesture. The actress has contributed Rs.5Lakhs to Thane Relief Fund following the other celebrities.